Are you looking to grow your blog or online business in 2018? Well, you’re in luck, because this post is packed with some of the best SEO tools for both bloggers and marketers in the business. 2018 is just around the corner, and its time to think about adding some new tools to your marketing toolbox to help you grow your online business next year. In this post, we’re going to be focusing primarily on SEO tools, and to save you a ton of time searching for the best SEO tools online, I’ve compiled a list of 22 of the most incredibly useful SEO tools and plugins for bloggers, online marketers, and entrepreneurs. So, kick back with your favorite beverage, and a pen and notepad handy, and check out the list below. Pick a few to add to your marketing toolkit in time for taking your online business or blog to new heights of success in 2018. Let’s start with a list of the best SEO plugins in the business. 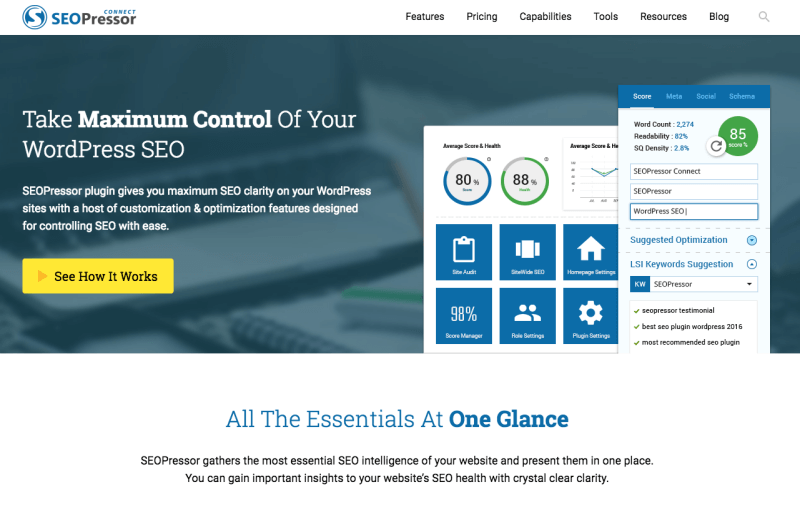 SEOPressor Connect is a powerful all-in-one SEO plugin for serious bloggers and marketers. If you’re looking for complete clarity on your on-page and site-wide SEO, then this plugin is for you. The SEOPrssor Connect plugin comes with a host of super-useful features, including – site auditing tools, broken link checker, SEO health checker, homepage SEO and more. You can also take advantage of the local SEO options built into the plugin. This is one of the best plugins I’ve invested in for my business, happy to have it in my toolbox. SEOPressor Connect plugin is subscription based and will cost you just $9 per month. For that, you get access to some of the best on-page SEO tools and metrics to help you take full control of your search engine rankings. Click here to signup. The Yoast SEO plugin is one of the most popular WordPress plugins in the WordPress repository, with over a staggering 15,000 five star reviews. Like SEOPressor Connect, the Yoast plugin comes complete with a suite of built-in features and options. You can take control of your on-page and site-wide SEO, social media optimization, meta-robots, SEO for tags and categories, and more. How much does the Yoast SEO plugin cost? Yoast SEO is completely free to install and use, however, there is a premium version of the plugin which offers more features and options, including the ability to optimize for up to 5 keywords. A single site license of the premium plugin will cost you $89. Click here to compare SEOPressor Connect with Yoast SEO. Broken links on your WordPress blog or website are bad for two major reasons. It helps to create ‘undesirable user experience’ for your visitors. No one likes to click on a link that is broken, right? It can hurt your SEO. With the Broken Links checker plugin, you can scan and find broken links and missing images, and then fix them accordingly. Borken Link Checker is a free to use plugin. Click here to download it. The Ultimate Nofollow plugin is one of my favorite WP plugins, as it helps to save a lot of time when having to make certain links nofollow. Such links include affiliate links or links to any sites that you simply don’t want to pass SEO juice to. This is a plug and play plugin and using it is simple. Whenever you want to link to an external page from your blog post or page, you are given an option to check the box to make that link nofollow. How much does Ultimate Nofollow cost? It’s free! Grab it here. This plugin is an absolute must for serious SEO bloggers and marketers. Using a Sitemap on your WordPress website helps search engines like Google get a better understanding of your website structure and content when crawling your posts and pages. Both the Yoast SEO plugin and SEOPressor plugin have XML Sitemap options built in, however, I personally feel that with the dedicated ‘XML Sitemap plugin’ you have better control and management of your sitemaps. This is a free plugin. You can download it here. Here’s a plugin that no WordPress website should be without. I recently added this plugin to my list of best plugins for small business websites, and it makes it on this list too. Have you ever tried manually adding the Google Analytics tracking script into your WordPress website? It’s not easy, and it’s not the best way to make the most of tracking visitor activity on your website either. 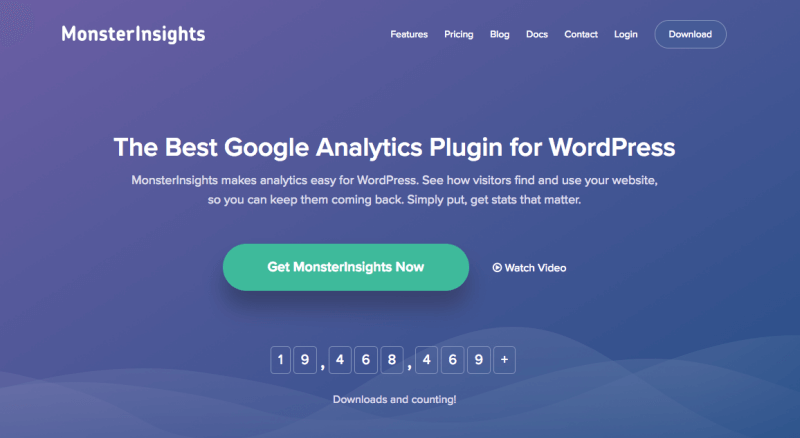 MonsterInsights gives you greater control, as well as access to tools and options to make the most of analyzing your website traffic and data. MonsterInsights is free to install and use, however, if you want to have greater control over tracking and reports, including additional features such as AMP, then there are three plans to choose from – A Basic plan, Plus, and a Pro plan. Plans starts from $39. Click here to check out the plans. Now let’s take a look a the best online SEO tools, apps, technologies and services for bloggers and marketers. The Keyword Planner tool in Google Adwords is useful for finding new keywords and checking out the competition, search volume, and trends. The tool is primarily used for finding competitive keywords for running ad campaigns in Google AdWords, however, you can still use the keyword planner tool to give some background information on potential keywords to use for your blog post ideas. You can access the keyword planner via your Google Adwords account if you have one set up. If you don’t have one, you’ll need a Google account to set one up. 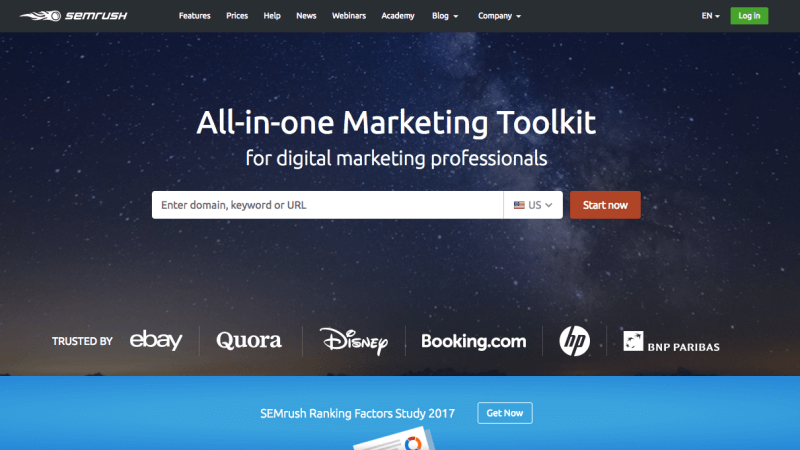 SEMrush is the top choice, all-in-one, marketing suite of data analysis tools and research reports for professional bloggers and marketers. With an active SEMrush account, you’re provided with everything you need to help you find and research profitable keywords and competitor keywords. In addition, you also get access to the tools you need to help you improve your website’s SEO, audit content, monitor backlinks, and more. Magnet4Blogging readers get 14-days of free trial access to SEMrush tools. Click here to signup and get started with your free trial. SEMrush plans starts at just $99 per month. Unamo SEO tools are ideal for bloggers and small businesses that want to keep tabs on daily metrics, including keyword rankings and backlinks. Other features include SEO audit tools, local SEO, and you can integrate your account with Google search console and Google Analytics. 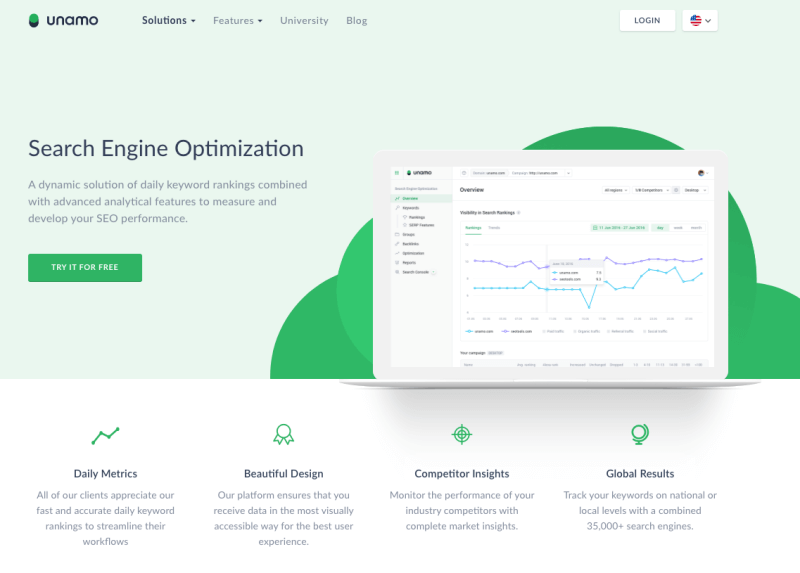 How much does Unamo SEO tools cost? The Basic plan will cost you just $19 per month for 100 keywords, unlimited domains, campaigns, and engines. Click here to signup. I’m sure you’ve seen me mention Ninja Outreach several times on this website. Well, that’s because Ninja Outreach is a complete influencer outreach software’s available for bloggers and marketers today. 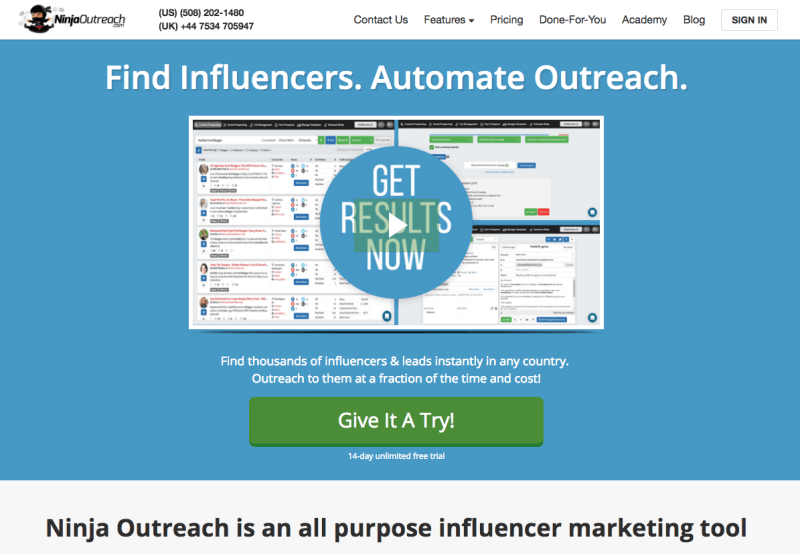 With a Ninja Outreach account, you can research influencers, marketers, authoritative blogs, and websites, especially useful when you’re using outreach emails to help you with your website link building campaign efforts. Ninja Outreach has 4 great plans to choose from – Blogger at $69 per month, Small Agency at $99 per month, Large Agency at $249 per month, and Enterprise at $599 per month. Click here to signup. We all now know how impactful having a mobile responsive website has on our website’s search engine visibility. As website owners, we also know that if we want our prospects to be able to find us online, we have to take responsive design seriously. According to Comscore, smartphone internet consumption grew by 78%between December 2013 and December 2015. The Google Mobile-Friendly test tool is especially useful for checking and ensuring your website’s pages are mobile friendly in Google’s eyes. How much does it cost to use the Mobile Test tool? Nothing! It’s completely free, click here to use it to check your website pages. Another online service that no website owner should be without, and that’s the suite of tools from the Google Webmaster Console. The webmaster console can provide webmaster with critical information about their website’s health, search engine visibility, accessibility, and more. Need to find and fix your broken links and 404-error pages? Google Webmasters is a great place to start. It’s free to open and use the webmaster console. You’ll need a Google Account, though. If you require detailed information about your website’s performance and loading times, I can’t recommend anything else other than the GTMetrix website. In fact, I used GTMetrix a few years back to help me find out what was causing my slow page load times, and CPU throttling on my website. So, as well as providing you with detailed reports on why your site could be loading slow or underperforming, you’re also provided with actionable recommendations on what to do to improve your website’s performance. GTMetrix is free to use for your website, and you get access to all the amazing features. If you want to use GTMetrix on a professional level, however, then you have 4 plans to choose from, starting from just $14.95 per month. Click here to get started. Woo Rank is both a useful and fun tool to use. If you want to get a full review and lowdown of your website’s SEO performance and overall score, then this is the tool you need. In addition, Woo Rank helps you to see your website’s social reach, very useful from a marketing perspective. How much does Woo Rank cost? You have three plans to choose from – a Pro Plan, a Premium plan and an Enterprise plan. Pro plan will set you back £49 per month ($65 per month). Click here to get started. 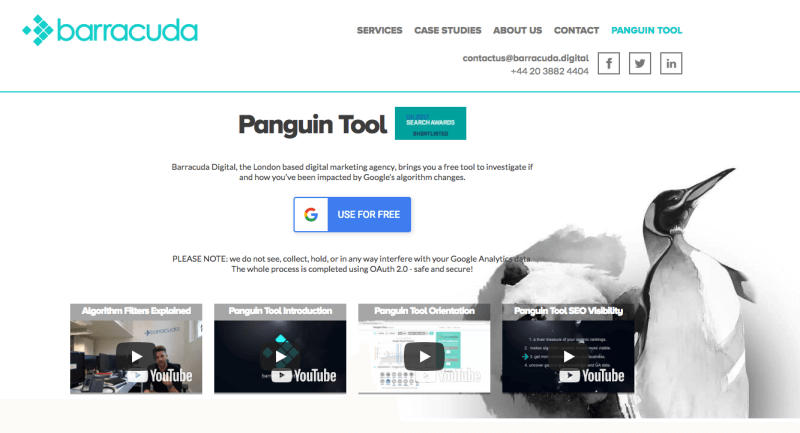 Barracuda’s Penguin Tool helps you to look at the history of algorithm changes Google has made, against your website’s organic traffic flow. If your website has recently been given a penalty from Google, or, if your rankings have been affected by an algorithm change, good or bad, the Penguin Tool is the perfect starting point to help you pinpoint what has happened. How much does the Penguin Tool cost to use? Penguin Tool is free to use by authenticating with your Google account. 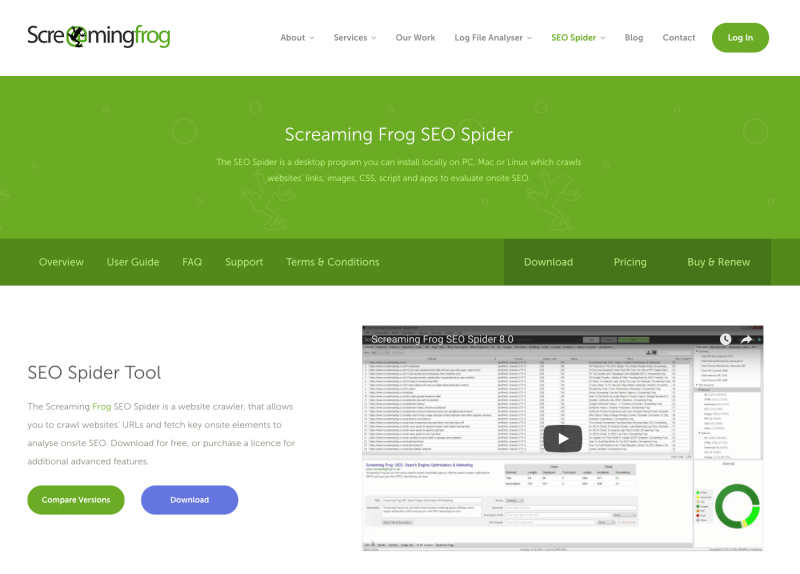 The Screaming Frog SEO Spider is a downloadable software that you can use to crawl all of the pages of your website or blog. The free version allows you to use the tool to crawl up to 500 URLs. Doing full website redirect audit. Analyzing page titles and meta. Discovering duplicate content on your site. It’s free to download, install and start using, however, for £149 per year, you can get access to a host of additional features, including unlimited crawls and free technical support. Click here to learn more. Want to know the hottest thing that’s trending right now in your niche or industry? Maybe you want to write traffic magnetic content for your blog. Well, either way, you can start by using the Google Trends tool. 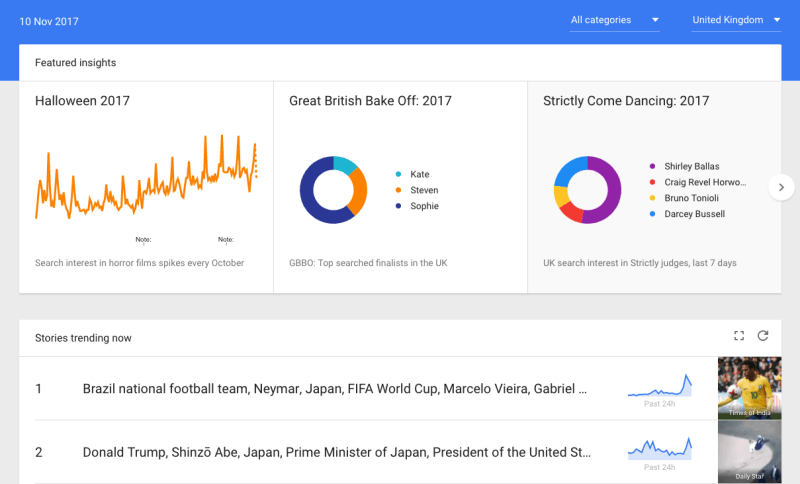 Or, if you run an eCommerce website, for instance, you might find the Google Trends tool especially useful for working out what kind of seasonal products to bring in and when. Yes! You can access the Google Trends tool here. Mangools boasts an attractive and simple to use UI dashboard, with lots of great metrics to discover. How much is it to use Mangools? Mangools offer three plans – Basic, Premium, and Agency. Prices start at 26.17 Euros. See more here. 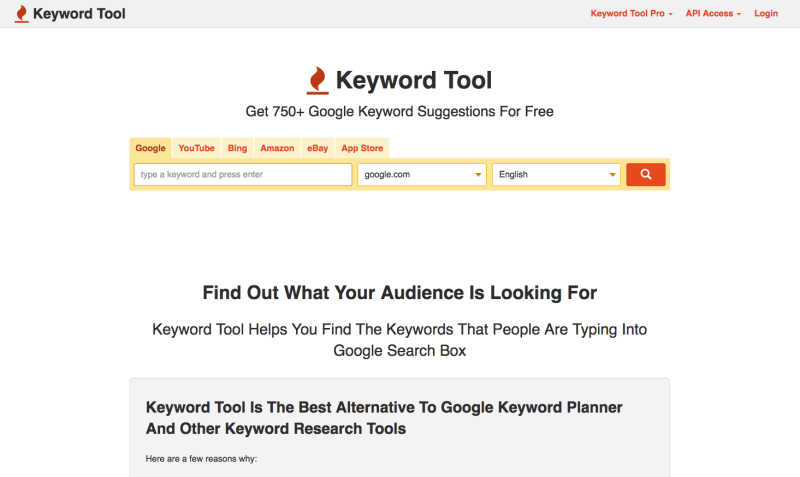 If you’re looking for a reliable keyword tool to help you find long tail keywords for your next blog post project, give the Keyword Tool a try. There is a free version and a premium version to choose from, however, with the free version you can generate up to 750 long tail keywords for each search term. How much will I need to pay to use this service? Using the tool is free, however, with limitations on the data you receive. If you want to access more keywords with accurate Google search volume, CPC, and competition, you can sign up to one of the pro plans. Pro plans start from $48 per month. Click here to get started. I’ve been using the Long Tail Pro software for the last few years now, and can honestly say, this is my favorite go-to tool for finding and researching long tail keywords for creating better blog content. With LTP, you can calculate keyword profitability, keyword competition, and more. Check out this post I wrote on how to use Long Tail Pro to find blog post topic ideas. How much is Long Tail Pro? There are three plans to choose from with LTP – Starter, Pro,and Agency. Plans start at $37 per month. Click here to start your 7-day free trial of Long Tail Pro. 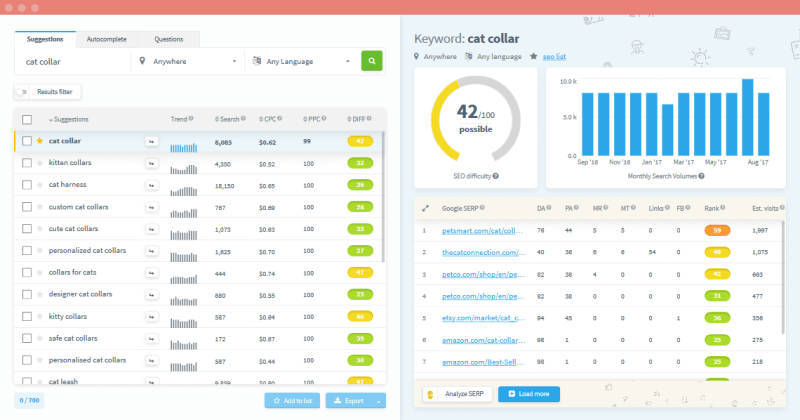 SpyFu is a great website tool for researching and analyzing your own and competitor keywords. In addition, you can use SpyFu to monitor inbound links, rankings history, top organic competitors, and more. SpyFu offers three plans to choose from – Basic at $39 per month, professional at $79 per month, and Team at $299 per month. Click here to signup. Are you stuck for keyword ideas for your next blog post? Or, perhaps you have a keyword or phrase in mind but need some suggestions. Well, the UberSuggest tool is the perfect tool for this. 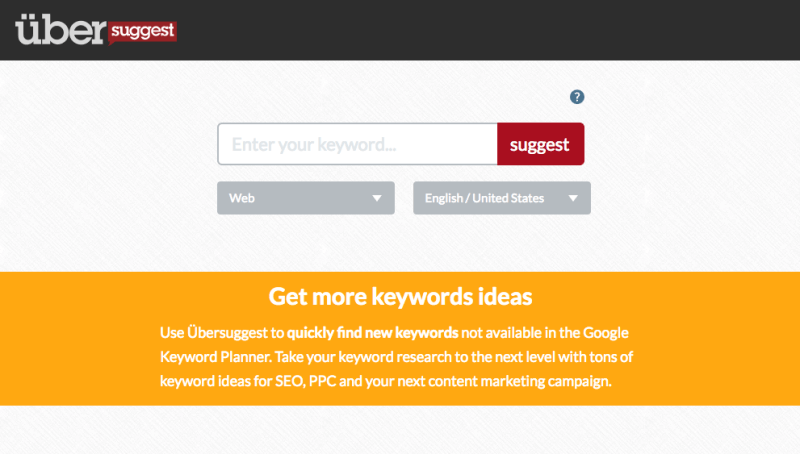 With UberSuggest, you simply add your keyword ideas into the box provided and hit suggest. From the list of generated keyword ideas, you can take your research further by using something like Long Tail Pro. How much does UberSuggest cost to use? UberSuggest is a free online tool. Click here to use it. So fellow bloggers and marketers, there you have it. A complete list of some of the best SEO tools for you to sink your teeth into and start using in 2018 to take your SEO to the next level. Don’t forget to bookmark this post for the future, as I’ll definitely be updating this one frequently. (Hit Ctrl+D to bookmark). Are you using any of these SEO tools for growing your blog or online business? Is there a particular tool that you’re using that’s not mentioned above? Leave me your comments below. Best of luck! 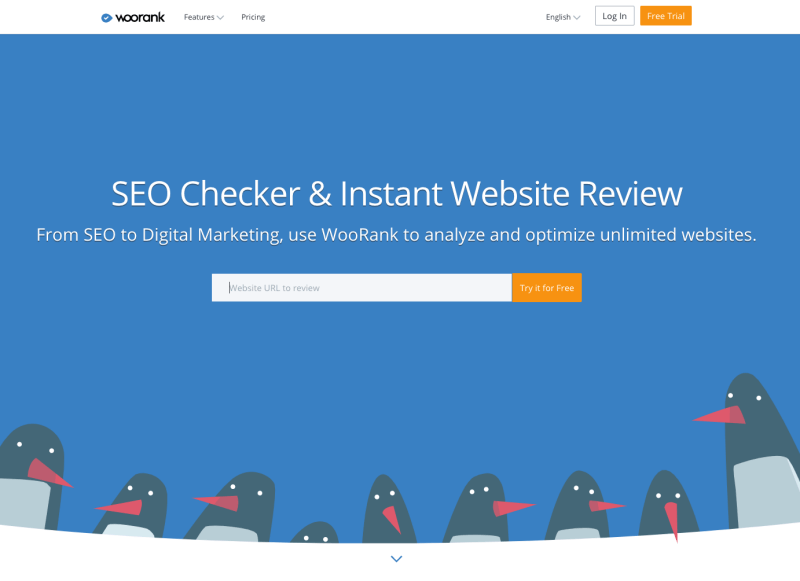 Great list of SEO tools and it’s nice to see that I am already using some of them. I’ve actually been contemplating using SEMRush. I’ve heard so many people talking about it. Right now I am using Long Tail Pro to help me with my keyword research. I know that it doesn’t do as much as SEMRush, but I’m happy with it. I’ve never heard of the Penguin Tool. In the past, one of my sites was affected by the Google algorithm updates. That’s actually one of the reasons that I don’t focus 100% on SEO. I personally think it’s safer to get your traffic from several different sources. That way when the algorithm does change, we’re not holding our breathe to see where our sites land. Thanks for sharing these tools with us, I have no doubt that they will help bloggers improve their SEO. Thanks for your comment and feedback. Glad you loved the list of tools here. Yes, you’re absolutely right about driving traffic from other reliable sources. Relying on Google alone for traffic is bad business, and building a website that’s dependant on one traffic sources is bad business. There are so many other ways to drive traffic, however, for most of us sadly, we depend on folks using search engines to initially find our business. I’ve just started with SEMrush myself, so I’m still exploring everything. An alternative is Unamo, not quite as complex as SEMrush, but great for tracking your website’s SEO and keyword rankings, and affordable too. Best of luck Susan, you have a great day too. People are always looking for useful SEO tools which can help them to rank better in the search engines thus drive more traffic to their website. There are so many different kinds out there, it’s hard to pick which ones to use sometimes. I have been using WordPress SEO by Yoast for a long while and it has helped me a lot in dealing with my on-page SEO matters. Long Tail Pro as well, I know more people are now moving over to SEMrush, but I think its quite costly, and that’s why I am not able to go with that option at the moment. Some tools here that I’ve not come across before, so I will definitely explore them more. Thanks for the share, Fabrizio. Wow. That is an ultimate list. Got to know few of them first time. UberSuggest looks interesting to me. Need to try it out. I am not sure why have you included Long Tail Pro in the list. It is not that useful anymore. Its keyword ideas are absolutely irrelevant. Thanks for your comment and glad you liked the list. Do you not think Long Tail Pro is useful? What is it that you don’t like about it anymore? I’d love to know. I’ve never had a problem using it personally. Hi Fabrizio, I love some of these tools you mention. Yoast for SEO is wonderful – I went with the premium earlier this year and it really has saved me some time. I love Google Trends, it really can give you a lot of info when you looking for keywords and suggestions. I used the screaming frog once but it slowed down my site and my computer – not sure why? I’ve forgotten about SpyFu – I’ve used the free version over the years and it is VERY good. Thanks for that reminder. I’d love to try some new ones that are not too pricey. Thanks for sharing these! Hey Lisa, thanks for stopping by and I’m glad you’ve been able to check out most of these great tools. I totally understand what you mean about some of these being a bit pricey, I always thought the same thing. I mean, $100 a month is quite a commitment, regardless of how profitable your business might be. I don’t mind paying $30 or so for a great SEO tool myself.